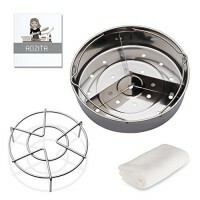 Aozita steamer rack basket set are made of food-grade stainless steel, durable and nice heft.Unique .. 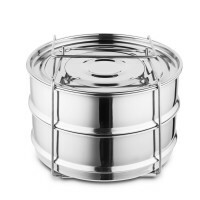 DURABLE - Insert pans made from food-grade stainless steel. Secure-fitting stainless-steel lid traps..